The Soldiers Of Odin were filmed ‘patrolling’ a shopping centre in an area with a large immigrant population. A leading member of Helsinki’s Somali community says the Finnish far right is getting “bolder” after a so-called ‘street patrol’ in the east of the city. 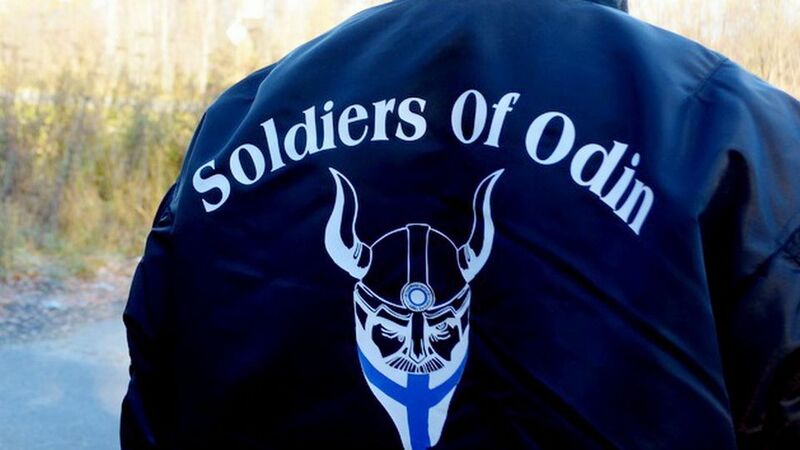 City council member Abdirahim Husu Hussein (SDP) was at East Helsinki’s Puhos shopping centre on Monday night when around thirty members of the far-right organisation Soldiers Of Odin arrived. Hussein told Yle News it wasn’t the first time he’d seen far-right groups gathering in Itäkeskus. “It’s getting bolder, it’s getting more,” he said, adding that it wasn’t only the Soldiers Of Odin group responsible for these kinds of ‘street patrols’. 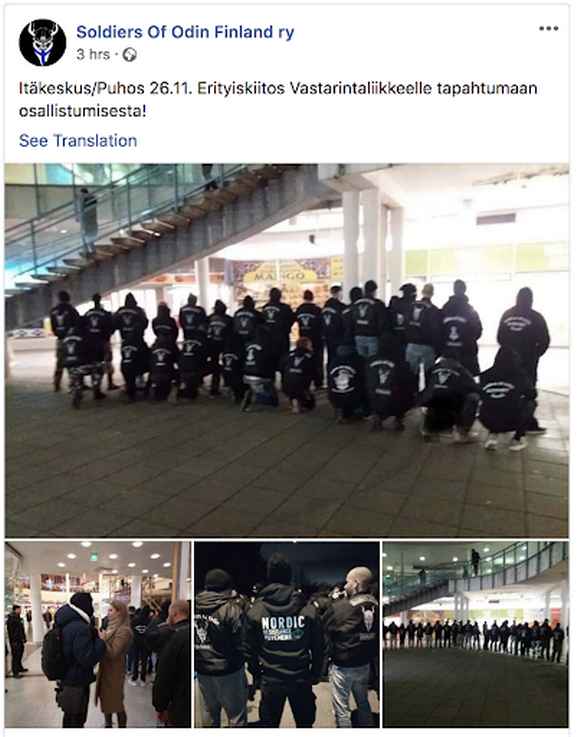 Video filmed by a freelance Somali journalist and posted on Facebook, appears to show members of the Soldiers Of Odin and neo-Nazi Nordic Resistance Movement in uniform, posing for photos and marching through the shopping centre. The journalist, who gave his name as Musse, said the group patrolled the Puhos shopping centre - next to the larger Itis shopping centre - for around 45 minutes and that there was a police presence throughout. 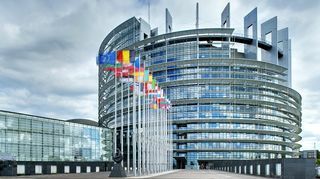 Chief Inspector Patrik Karlsson from Helsinki Police told Yle News that two calls about the far-right group had been made to police, at around 19.30 and 19.45 on Monday night. He told Yle News, “When the police patrol approached them they said they were just walking and sightseeing.” No further action was taken by police. Karlsson also told Yle News he didn’t believe that the number of calls to Helsinki police about far-right groups had increased in recent years. The far-right gathering came on the same day as the City of Helsinki published data showing that eastern Helsinki has the city’s highest number of residents with a foreign background (with 'foreign background' defined as a person with two parents who were both born abroad), with Itäkeskus among the areas seeing numbers of foreign-background residents reach over a third of the total population. Photos confirming the event took place on Monday night have been posted on the Soldiers Of Odin’s own public Facebook page, with a caption reading “Special thanks to the resistance movement for taking part in the event,” - a reference to the fact that members of the Nordic Resistance Movement or ‘Pohjoismaisen vastarintaliikkeen’ also appear to be present. The Nordic Resistance Movement is currently embroiled in a legal battle at the Turku Court of Appeal, attempting to overturn a ruling made last September which would ban the group on the grounds of violent conduct by its members. Mika Ranta is a member of the openly white supremacist Finnish Resistance Movement, or ‘SVL’, the Finnish branch of the Nordic Resistance Movement. Ranta has previously denied that there is any link between the Soldiers Of Odin street patrols and the SVL.